Final Day on the Tidal Lace Blog Hop Tour! Today is the last day on the Tidal Lace Blog Hop Tour, I hope that you have enjoyed seeing these amazing projects by all these very talented creators. 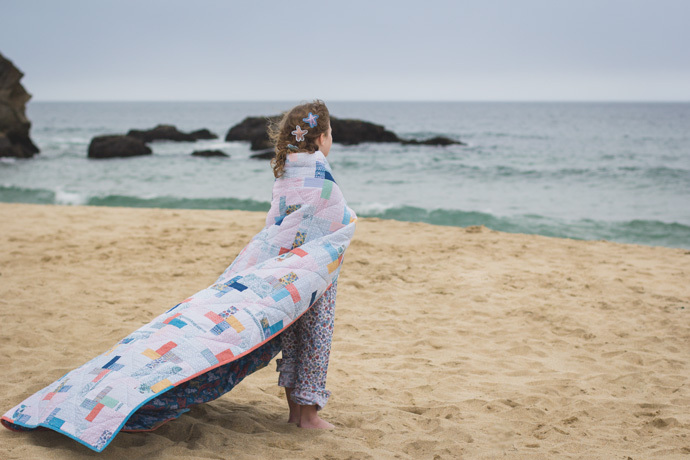 Tide Lines Quilt by Kim Andersson using Quarter Circle blocks. 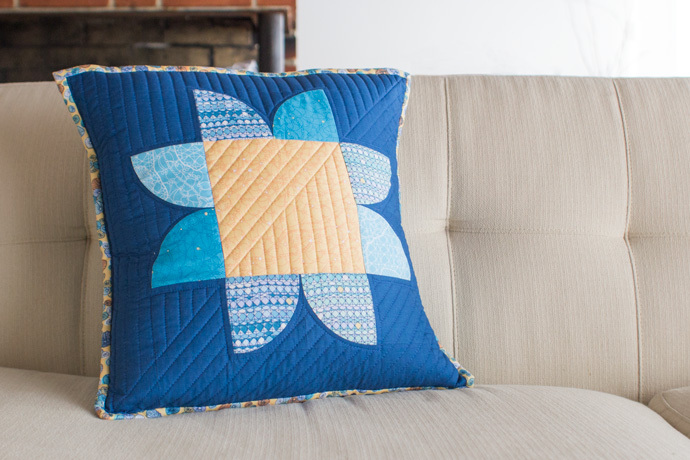 Starflower Pillow by Anne Sullivan using Quarter Circle blocks. Photo by Danielle Collins. I was lucky to receive Jen Carlton Bailly’s Quarter Circle templates a few months ago and they make cutting Quarter Circle blocks a breeze! I used them while cutting pieces for my Tide Line quilt and I know that Anne from Play Crafts used them for her Starflower Pillow. I’m so happy to have Jen on the blog hop today to give us some fabulous pointers on cutting and sewing Quarter Circle blocks. Don’t be scared of the Quarter Circle! You can find Jen’s templates here, be quick they go FAST! You can see Jen’s great Quarter Circle tips here! Colored Pavement Quilt by Miriam Blaich. Photo by Danielle Collins. Last, but by no means least, we have our finale piece by Miriam. We met through the Quilt Design a Day group on Facebook and I love seeing her designs. 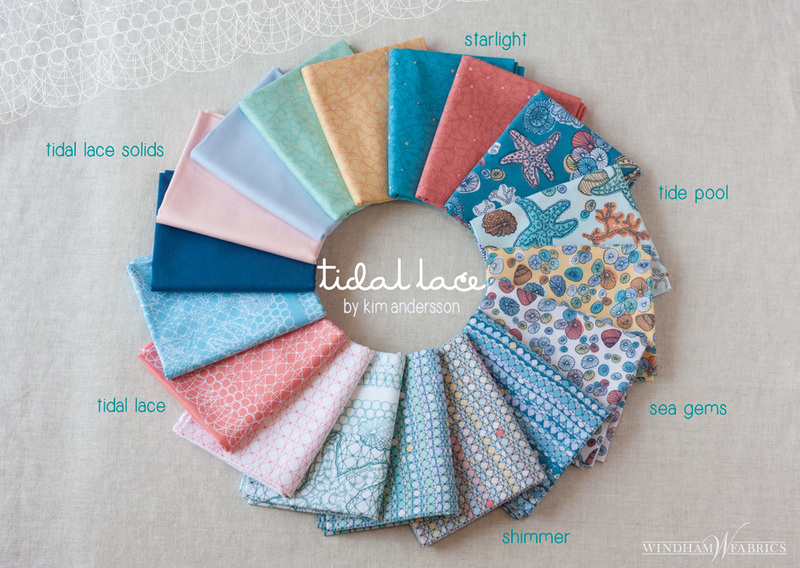 Miriam’s wonderful Colored Pavement Quilt is the one featured on the cover of the Tidal Lace look book. 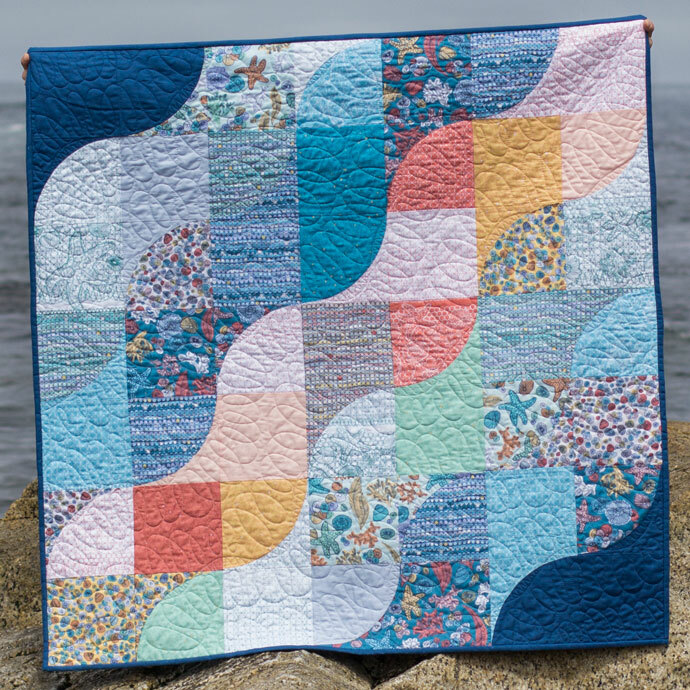 Her quilt design is amazing, she uses the Tidal Lace border print (in White Ombre) so well to create this lovely lightness in her design. I can’t wait to make one of these for myself! Go see this gorgeous piece here! 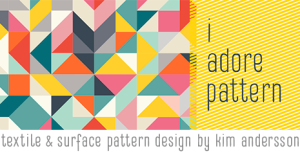 Well, that wraps it up for the Tidal Lace Blog Hop Tour. It’s been so much fun and so inspirational to see all the wonderful talent on the hop. Tidal Lace will be landing in store in January. I can’t wait to see it out in the wild and I can’t wait to see what YOU make with Tidal Lace.